​Key Features: Evergreen; Thick corky bark; Fine size and shape to use as a specimen in any garden. Supplied: In a three litre container of peat-free compost, healthy and well established, approximately 600cm (2 feet) high, with full planting and aftercare instructions. Any budding wine makers may stumble across the decision of how to cap their bottles of priced vin rouge. Well to be truly authentic i guess it should be corked! That is where Quercus subercomes in. 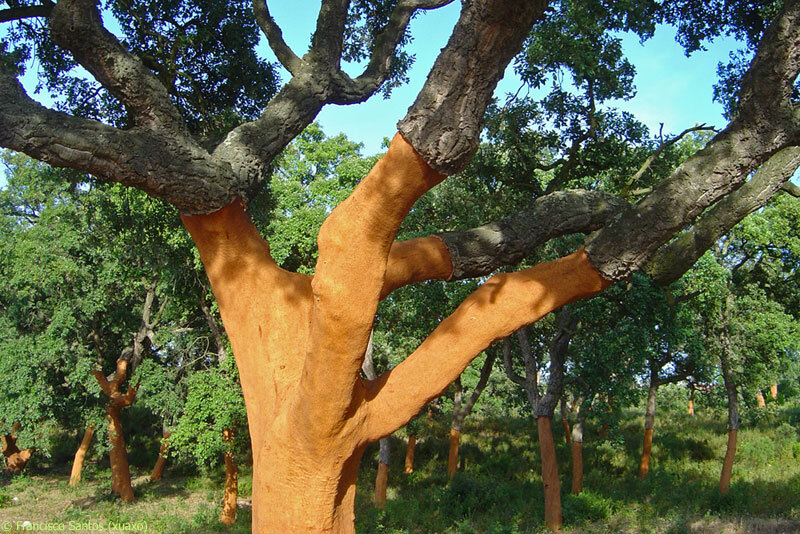 For centuries plantations of cork oak have been grown predominately throughout Spain and Portugal allowing the thick outer layers of bark (cork) to be harvested every 7-10 years. Q.suber however has an appeal far beyond its commercial value and in the UK is grown for its ornamental value as a well proportioned garden tree providing interest all year round with its leathery evergreen foliage. By not harvesting its cork the tree also rewards with an eye catching display of ever thickening and deeply ridged bark, predominately grey/brown with shades of cream and orange. Despite originating from warmer regions of Europe, Q.suber is a proven, frost hardy performer in UK gardens with many beautiful specimens including one at Tollymore Arboretum in Co.Down (pictured). It will however benefit if given a sunny position and grown on a reasonably free draining soil.